It's about time to return to our discussion of IMAG. We've talked about some basics on how to do IMAG, the importance of a good tripod, and today we'll look at some accessories. Think of this as "dressing for success" for your camera. When you're out in the field shooting a video, you have a lot of flexibility in how to position yourself to work the controls of the camera comfortably. However, in a church setting, when trying to run a camera for IMAG for an entire service, it really helps produce better results if the operators have easy, comfortable access to the controls of the camera. The problem is, if you are using a camcorder, like a GL-1 or a GY-100, the controls are way up on the front of the camera, and not at all easy to reach (it's the same for larger cameras too). To stand behind a tripod and reach around to the front of a camera and zoom and focus, while trying to pan and tilt is a recipe for disaster. The answer is in rear controls. If you've ever been to a major sporting event and seen the guys running the many cameras posted around the stadium, you've seen rear controls. 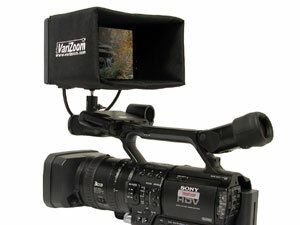 The operators are able to sit comfortably, pan, zoom, tilt and focus all with their hands conveniently in front of them. If you are using an ENG-style camera, rear controls (AKA studio controls) are easy to come by, but not inexpensive. 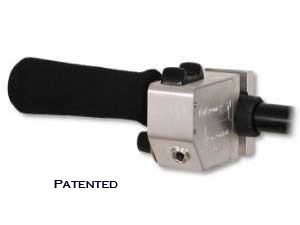 Typically they attach to rear control arms of the tripod head, and the controls attach to the arms. 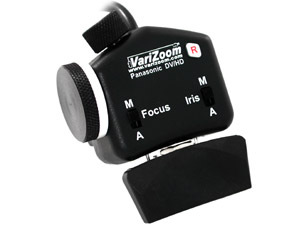 This is Varizoom's traditional-style zoom control for Canon ENG lenses. If you are using any of the small camcorder-type cameras, finding controls has been harder. The lenses typically don't have remote control ports on them, and they are not tapped for focus controls. Enter a company called Varizoom. They have been making controls for all kinds of cameras for a long time. I bought my first remote zoom control from them back in 1997. Here are few examples of controls that may be helpful. This is a zoom, focus and iris control for a number of Panasonic cameras. By incorporating these inexpensive controls to your IMAG cameras, you will get drastically better results. I have even found them to be incredibly useful in the field doing production work. Being able to pan, tilt and zoom with my right hand (through the use of a remote), while focusing with my left on the lens was huge in getting creative and smooth shots. Another "must-have" accessory for the well-dressed IMAG camera is a monitor. Most dedicated IMAG cameras come with an overhead monitor of at least 7-9" so the operator is not squinting into a tiny viewfinder. These are readily available for ENG cameras, but not so much for smaller ones. There are bunch of companies that now make hot shoe mountable LCD displays that function just like a studio monitor. Again, Varizoom comes to the rescue. Composing and focusing your shots is infinitely easier on a 7" monitor than the viewfinder or even a flip out screen. The best part is the monitors and controls are very affordable. If I were putting together an IMAG system on a budget, it would be really easy to pick up a few camcorders, the remote controls and monitors (and a couple of good tripods) and we'd be all set. Well that and the switcher, router, producer monitors and cable. Looks like we're in for another post!